Luckeyfrog's Lilypad: School Is Sneaking Up On Me… and the Indiana Dollar Sale! School Is Sneaking Up On Me… and the Indiana Dollar Sale! Is it just me, or is this summer going WAY too fast? I just got back from a trip (recap to come!) and suddenly it feels like I need to be getting ready for back-to-school already. I only have about a month until we go back- and that includes moving into my new room, going through all of the resources left in my room by the last teacher, getting a handle on my new curriculum, and our August PD and teacher work days! Did I mention my new room currently looks like this? YIKES. And that’s before I move in ANY of my own stuff! So, as I start thinking about next year and the things I’ll need, I’m checking out the Indiana Teachers’ Christmas in July sale. Yes, I know a lot of people are doing a sale right now, but this one is as easy as Dollar Tree or the Target Dollar Spot. Some of my FAVORITE blogger/sellers have marked down over 100 resources to just ONE DOLLAR for today only. I have found some awesome things to make back-to-school a little less “omgoodness-it’s-only-a-month-away? !” scary… and I hope you do too! 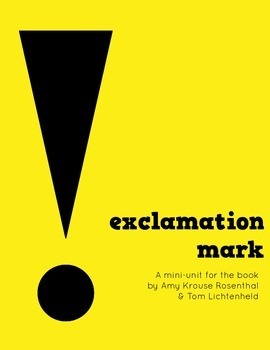 An Exclamation Mark Mini- Unit centered around one of my FAVORITE back to school books- including a craftivity, differentiated writing prompts, two flipbooks, and a page to break down the puns in the book, too! Nonsense Word Context Clues- a pack that uses nonsense words to teach the skill of using context clues to find the meaning of an unknown word. The “silly” words make it fun and make sure that EVERY student in your class is truly practicing the skill. Sweet or Sour? A Game for Reading Multisyllabic Words with Prefixes- one in my series of games to help second/ third graders transition from applying decoding rules to monosyllabic words to those “bigger” words. 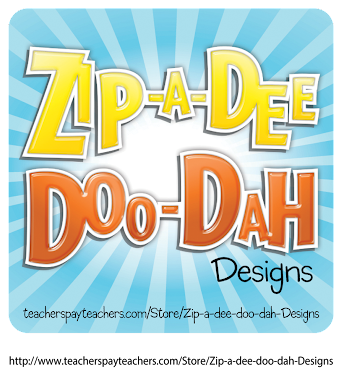 The words are spaced to help students practice “chunking” them into smaller pieces, and the game element makes it fun! Turn the Question Around- One of my most popular resources on TpT! Perfect for teaching kids to write in complete sentences. I ALWAYS use this during the first week of school because it allows me to get to know my students while also giving them pressure-free practice with QUITA, or putting the question in the answer. Teaching them this strategy EARLY saves me so much frustration later! For today only, all of these are just ONE DOLLAR… and so are the resources below! Thanks for checking them out : ) When do you go back to school? Planning herein Gainesville, Florida starts August 11th and 1st day of August 18th! I like you am moving into a new room (and school). The room I'll be in was a computer lab, so it is sort of empty, a couple of tables, but no ones "stuff" to go through so that helps a lot.I'm looking through all of the sale items. I'm moving to 3rd science and social studies, maybe there will be something I can use. Hey, I'm moving rooms too! Going from 3rd to 1st. Super excited. A lot of work ahead!